Boston Bronze & Stone Speak To Us is a unique and beautiful book that combines art, history, and walking guides for the public sculpture found in eighteen Boston locales. Who is Using My Boston Monument Guide Book? Myrna Woodworth From Peabody, MA Is Using It! Who is Using My Boston Monument Guide Book? Myrna Woolworth from Peabody, MA is Using It! I received my copy of your book today and spent some of my afternoon going through it. It is really wonderful! I am surprised it is not for sale at the Tourist Bureau or in Quincy Market. It really should be. If I were coming to Boston as a tourist, this would be wonderful to have. This fall when the weather is cooler, my husband and I will be going into town again to spend the day and will use this book as our guide. Many thanks for writing such a wonderful historic guide book. Thank you for having me give a talk on Boston's Monuments. Hopefully, my guide book "Boston Bronze and Stone Speak To Us"will assist the people who attended my presentation for the upcoming summer months ahead. Go Sox! My book can be found on Amazon.com and local book stores. 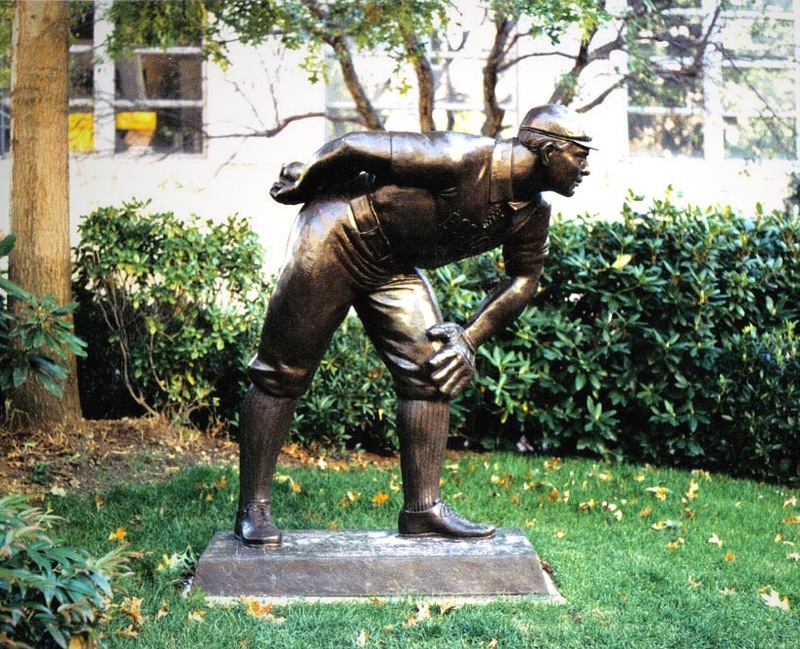 The 1903 World Series was the first modern World Series played in Major League Baseball. The Boston Americans verses the Pittsburg Pirates, the Boston Americans won! The Boston Americans have become the Boston Red Sox today. Who is Using My Book As A Guide to Boston's Monuments Boston, MA? Using my guide book "Boston Bronze and Stone Speak To Us" as their tool to discover the many art/historic treasures within our great city of Boston, they find here Antonio Lopez Garcia sculptors' modern sculpture " Night and Day" . Lopez was first associated with "magic realism"and juxtaposed peculiar nominations of images people and places, resulting in mysterious interesting compositions such is the one below.
" The hallmark of Lopez's work is its timelessness; he is an old master in the contemporary world," said exhibition curator Cheryl Brutvan MFA. Inspired by his two grandchildren one awake the other asleep "Baby Head" amazes all of us of the simple wonders of this world. 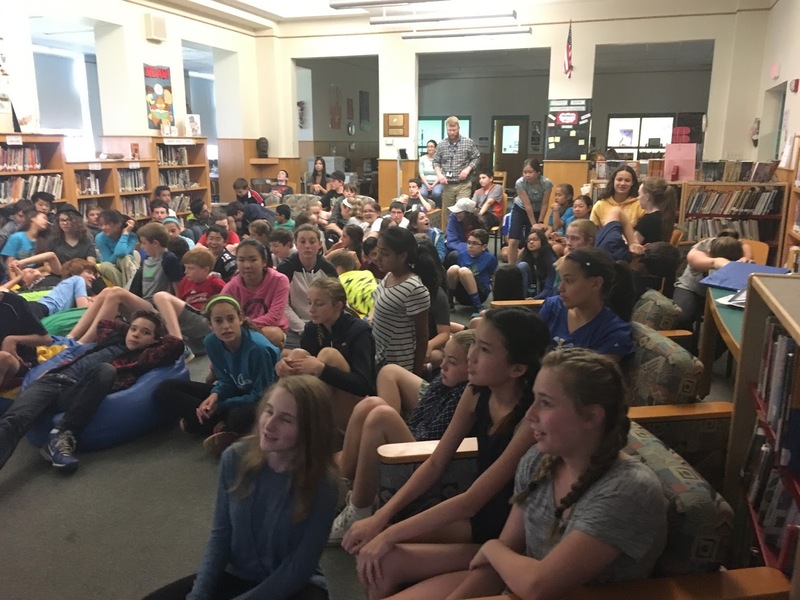 Thank you to the Diamond Middle School Students and Staff for another exciting year. 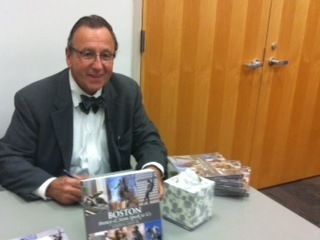 Joe Gallo author of " Boston Bronze and Stone Speak to Us" a guide book to the hundreds of monuments in our great city of Boston, MA. 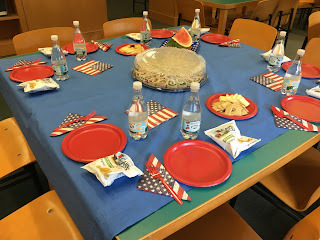 Always a pleasure to have lunch and give a talk to the students and staff at Diamond Middle School in Lexington, MA about Boston's Monuments. My yearly talk consists of a brief explanation of the many dozens of Boston's Monuments created and erected for all of us to learn about our great leaders past and present. My talk prepares these students for their yearly field trip adventure into Boston. 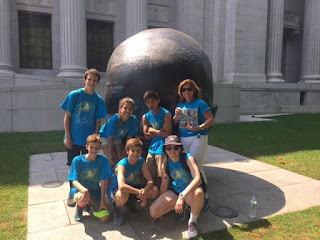 When the Diamond School students find and discover these historical artistic works on the streets of Boston, it is both a fun and educational experience for all. 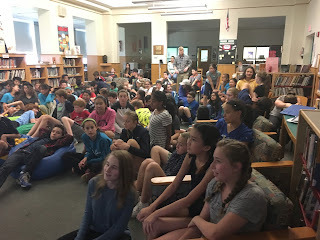 My presentation and the interactive educational activities provided by the school staff, that follows my talk, reinforces these students excitement, interest and involvement about further learning of Boston's leaders, Boston's 500 year history and Boston's art and artists. The love of learning between student and teacher is the highest of all the loves. Teaching students to learn for themselves is of the highest order as both Socrates and Plato have always said us. Thank you for inviting me once again! Author of "Boston Bronze and Stone Speak To Us"
Come Visit Boston Bronze And Stone Website!! Contact Joe for quantity discounts. Joseph R. Gallo Jr. is not a historian nor a sculptor. He is a student and great appreciator of both academic fields. Trained as an educator and being an entrepreneur, he felt a need to reach out to the thousands of visitors who come to our historical city teaching them through this guidebook the purpose and reason why such beautiful works of art embellish our fair City of Boston. Compiling updated photos and historical text for the resurrection of a much needed simple-to-use guidebook Boston Bronze and Stone Speaks To Us was time consuming, but fulfilling. The purpose and meaning of these monuments is made more lucid with the structuring of this new book. Boston Bronze & Stone Speak To Us is a unique and beautiful book that combines art, history, and walking guides for the public sculpture found in eighteen Boston locales. Written by Joseph R. Gallo, Jr., who states that he is not an historian but a lover of the City of Boston, the book combines his original photographs and observations with well-referenced sources and maps for a complete experience of enjoying Boston sculpture. With hundreds of full-color photographs in all, each chapter offers a map of that area with stars and page numbers marking each work discussed. The chapters include the Boston Common, the State House inside and out, Beacon Hill and Louisburg Square, the Boston Public Gardens, the Esplanade and Hatch Shell, the Fenway, Chinatown and the Theater District, Copley Square, Park Square, the Commonwealth Avenue Mall, School Street and the Old City hall, King's Chapel, Downtown and the Financial District, Government Center, Quincy Marketplace and Faneuil Hall, the North End, and the Waterfront. The book also includes and Index of Monuments and an Index of the Sculptors. Boston is home to some of the most extraordinary public art in North America. 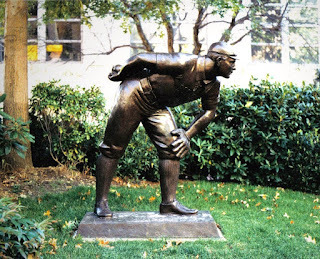 Sculptors of public art include Daniel Chester French, Katherine Lane Weems, August Saint-Gaudens and George Aarons. This lovingly produced book introduces readers to the artists, the subjects of their work, and the accessibility of exceptional art all within the city of Boston.